Nicholas Secara is Assistant General Counsel for two divisions of Ascot Group Limited: Ascot Insurance US, an admitted and surplus lines insurance carrier, and Ethos Specialty Insurance Services LLC, a Managing General Underwriter. Prior to joining Ascot, Nicholas spent seven years in private practice at leading international law firms, where he counseled insurers and reinsurers, producers and other intermediaries on high-value disputes and complex regulatory matters and transactions, as well as FinTech companies at the forefront of blockchain development and deployment. 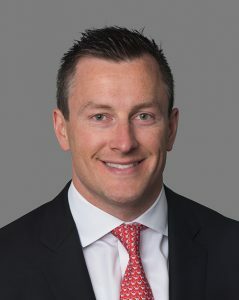 He is well published and has spoken on current issues impacting the insurance and FinTech industries, including how the implementation of blockchain technology may disrupt the insurance market, financial regulatory developments in off-shore jurisdictions relating to digital assets, and the manner in which concussion-related class actions may affect liability policies. Nicholas co-founded and serves on the Advisory Council for the Emerging Leaders, a division of the Insurance Federation of New York, Inc. He also serves on the board of directors for the U.S. Reinsurance Under 40s Group, Inc. Nicholas graduated from Middlebury College and the Benjamin N. Cardozo School of Law.